Athol Fugard is South Africa’s most significant and internationally acclaimed playwright. For over fifty years he has written soul-searing plays with roles for all South Africans which have moved audiences in South Africa and around the world to laughter and tears as they reflected the racism, barbarity and inhumanity of apartheid. Working with John Kani, the late Zakes Mokae and others he created iconic black characters whose narratives profoundly changed the way millions of people viewed apartheid. In his over thirty plays Athol Fugard champions truth and a fundamental universal humanity. In 2011 he received the ultimate recognition from the world’s most prestigious theatre community - a Tony Award for Lifetime Achievement in Theatre. 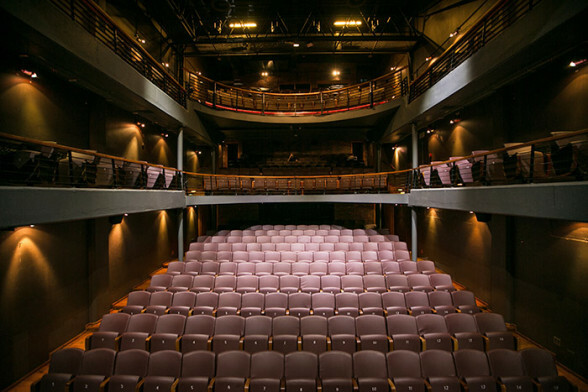 The 320-seater Fugard Theatre is located within the historic Sacks Futeran building in Cape Town’s District Six, with the renovated Congregational Church Hall in Caledon Street as its entrance. Construction of The Fugard Theatre was underwritten by its founding producer Eric Abraham, who continues to underwrite the operational costs. All seating is reserved and can be booked through our website at www.thefugard.com or through the Theatre’s box office on 021 461 4554. There is secure parking available for a small fee directly opposite the Fugard Theatre in Harrington Square.